January is always a dangerous time. And no, I don’t mean the ice and snow that comes from living in Canada. January is dangerous because it’s my planning time; the time when I think strategically about where I’m heading and how I’m going to get there. The time when I think boldly to conceive outrageous goals. After all, why have a goal if it is easily attainable? With the goal of reaching more than 1000 subscribers I’m changing the focus of A Writer of History. You can see it already in the blog’s banner photo: Inside Historical Fiction. And what, you may ask, does that mean? What I plan to do is look under the covers of historical fiction to illuminate those attributes that make it different from contemporary fiction. For writers, I hope the topic will enrich your writing process. For readers, I hope you will find insights to enhance your reading experience. 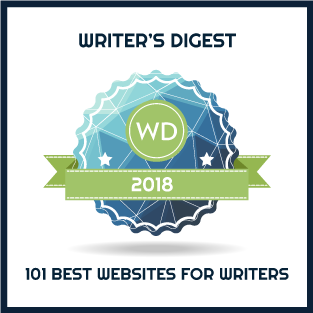 Posts will include interviews with well-known authors of historical fiction, reviews of books and articles on the topic of writing historical fiction, interviews with academics, and expansion of the Writers Map of Historical Fiction introduced a few weeks ago. A former consulting colleague of mine used to say that choosing a strategy includes choosing what NOT to do, as well as choosing what TO do. In the case of A Writer of History, this means writing fewer (or no) posts on WWI and conducting fewer (or no) general author interviews. With the goal of becoming known for analysis and insights on historical fiction, including the writing of and the readers of the genre, I plan to conduct another reader survey. This year’s survey will repeat some of the questions from prior years for comparison purposes while adding new questions about historical fiction and a focus on ‘social reading’ — how social media is affecting reading. Having reached 2400 readers in 2013, my goal is to reach 5000 in 2015. I will definitely need your help to reach readers around the globe. So – a new look and a new focus. I welcome your feedback, topic suggestions and guest posts. Subscribe to A Writer of History for more on INSIDE HISTORICAL FICTION. Many thanks, Angela. I really appreciate your support. Your doing a great job and it’s obviously proving successful, if you reach such a large audience. Tiffani Velez launched a Historical Novel Blog Tour in December and I was invited to participate. We were asked about how we do research for our books and how we reconcile fact and fiction, etc. I thought you might be interested in my post as a possible contribution to your site. Friedliche Grusse to you too, Viktor. I’d love to see your post. Looks like another busy year. I wish you well. As a fan of Charles Handy I followed his advice from 1999 about portfolio living only to end in overload despite having a great time. Your comment about deciding what not to do is therefore highly relevant given reduced capacity and energy as years go by. As the new book shelf heading in my local Waterstones book shop says … Smarter Thinking … and I add living. This is very exciting, and very good news indeed! A wonderful expansion of your excellent and far-reaching work of analysing the attributes and audience of historical fiction. And I feel sure you’ll achieve your goal of increasing your blog’s reach! Many thanks, Margaret. Keeping my fingers crossed. Instead of eliminating author interviews, why not have occasional “author spotlights”, where you interview the author and ask them what inspires them to write historical fiction, how they feel it differs from contemporary fiction, and what aspects of HF they feel attracts readers. In that way you have the macro and the micro. I think I would miss the interviews as well as writing can be very lonely at times. A clever idea as always, Rachel! And the word ‘spotlight’ makes it sound so much more interesting! March, 2015 On sale now! I have an idea for an author I recently found on Bookbub. Courtney Milan who writes historical romance. She’s fabulous and as writers we can all learn from her skill and passion for historical fiction Check her out. I have a small bit about her on my blog @celticthoughts.com Just click on the ‘On Writing’ tab. Thanks for the suggestion Brighid and for the encouragement. I’ll check out Courtney Milan. Go for it! I’m anxiously awaiting all the new posts. Thanks, Jim. I hope you’ll weigh in with your ideas too. Thank you for your continued hard work. It is exciting to see you clarify your generous gift to all of us. I, too, would miss the general interviews but you might find that focused interviews will add value by fleshing out your statistical observations. Again, much appreciation! Thanks for your encouragement, Lausanne. Tomorrow’s post looks at a book on writing historical fiction – I have several on my TBR list, potential sources for my new focus. I hope your writing is going well and that you will find time to contribute to the discussion! So exciting! I love the new direction you’re taking the blog. I’ll try and spread the word through Twitter and Facebook. 🙂 Looking forward to your posts. Many thanks, Melissa. I appreciate your encouragement.